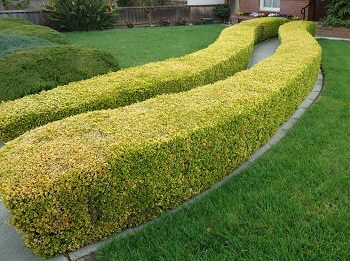 Trimming bushes is a very important task and can be done by anyone. We have shortlisted some of the steps that will help you in trimming the bushes around your house. Trimming any shrub depends upon the type of plant that you are looking to trim. If you are applying your equipment to early or late in the season, it can have dire consequences. Some of the gardeners wait to cut the shrub when it grows too large. Some of them trim them even if the same is not required and the others wait for them to overcome the disease which they are infected too. The proper way is maintain them throughout the warm seasons as this keeps them well maintained. If you’re looking to maintain your trimmers, then you will need a wrench to tighten up any loose bolts on your shears or trimmers. You can check out our ratchet wrenches guide here! If you opt for trimming on a regular basis, you will find that plants start growing much better. It is similar to a hair cut, without proper maintenance your hair grows out of control. Proper maintenance means achieving the look you want. You should know; the shrub health can be maintained by trimming. You remove the diseased or infected part from the shrub itself. Remember that trimming includes removing flower buds, pruning branches, seed roots, and pods. If any portion of the plant is dead, diseased or dying, wherever the shrub is, it needs to be trimmed immediately. Only use a sterile blade for trimming the shrubs. Sterile blades help prevent any other diseases from previous cuts being spread onto the healthy branches and trees. Once you cut any shrub, the blade needs to be cleaned. Dip the blade for an hour in a mixture which is comprised of one portion of chlorine and 9 portions of water. The disease of the shrub can be spread to other parts of the shrub and other trees as well, if the same is not disinfected on time. 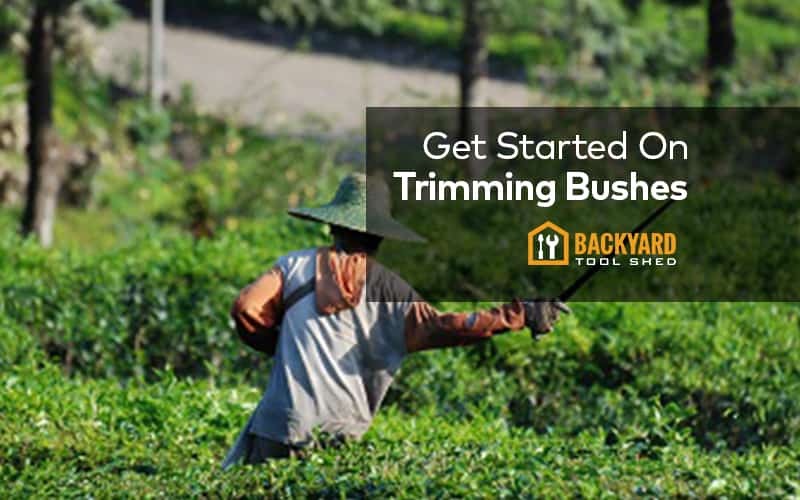 These are steps that can help you when trimming the bushes in your garden, there are other issues as well that you should take care with the time with your shrubs outgrowing. If you have the traffic passing nearby from your home or garden you should take care of the dead branches on the ground. This will help maintain the look of your property. Plants are like the humans only they require to be trimmed at intervals or according to their life cycle a given nutrition regularly so that they can outgrow regularly, and can keep up with the best of the options intact. The pruning just takes few minutes of you and but you should take care of the preventions that are required from your end so that the trees nearby to your homes can look beautiful. The pruning also has lots of issues related to the flowering buds too, it should be done in a way that it does not disrupt the passage of the buds so that they can flower and the pruning procedure is the place to help them not to cause hindrance in their way out. Young shrubs don’t take a lot of pruning, but if you need to handle an older shrub then you need to check and make sure that the method of pruning you plan on using is the proper approach for the mature plant. The older shrubs with multiple stems allow all of them to be removed gradually while you need to take care of the fact that all the stems should be replaced gradually with the new ones and they can be handled properly too. The shrubs that are grown older takes a time to trim so always take care that you start the process early with the trees as it will help you in trimming them in the easier way and it will be great that if you could replace all the stems but by taking care of all the precautions. When you have a new plant the do not hurry as the plant also requires the leaves for making food for them so take care of the fact ad try to remove only those leaves that are dead and is of no sue for the plant. Some of the plants also stop growing in a particular season, that is why we have stated from the starting that knowing the nature and the health of any plant is quite necessary before you take any remedial action from them like trimming. Remember to take note of the seasons as well. If the wrong method is implemented at the wrong time of the year then you can face issues with the growth being stunted, flowering issues etc. There are trimming options available and you need to study the life cycle of the plant before going for the trimming procedure. The same season can be different for them and your procedure can take them at a stage where there will be no growth. Sometimes, it is good to have professional advice for your garden to flourish. There are many shrubs that can be grown in-house, too. You need to take care of the fact that they should be grown with the proper care, too. A professional gardener can help you in growing your trees and plants effectively and will help you out in putting the efficient minerals that can be able to help you out in making a good deal with the plants for you. You can also look for various creative ideas that are related with the shrubs so that they can be of great help to you in a maintenance of your home. The plants have been very much a boon to humans and should be conserved properly for our survival. As you should know, plants should be there to provide you with fresh air. You should know the techniques to conserve them nor to destroy them for your survival. So, trim them with the idea in mind that you are preserving their life and helping them survive.